All foreigners with permanent residency in Denmark are entitled to Danish language lessons. Many language courses are held in the workplace, and businesses see the benefits of in-house language training. "Have you heard your employer use the word 'sikkerhed' [security], and do you know what that word means?" asks the language teacher and looks at eight adult students of foreign heritage who've come to learn Danish at Vestegnen's Language and Competence Centre south of Copenhagen. Several of the students work in the cleaning trade, but none of them can explain the word 'sikkerhed'. The next word, 'løn' [pay], they all know, however. "Pay is very important," smiles Sandor Jaradi from Hungary. He has been living in Denmark for one and a half years. Together with his Hungarian girlfriend he has worked evening and night shifts as cleaning assistant in Danish offices and nurseries, employed by a Hungarian cleaning firm. It was Sandor Jaradi's boss who decided he and his girlfriend should take Danish lessons, and Sandor Jaradi is grateful for the chance to learn. "It's hard to live and work in Denmark without speaking Danish. When I go shopping I often don't understand what the shopkeeper says. It is also important if I want a different job." He would like to find work as a bus driver, for which he would have to speak the language well. He and his girlfriend work from 3pm until late evening - sometimes past midnight if things are busy. This means they don't see as much as they would like of their 15 months old son. Sandor Jaradi's mother looks after him. Sandor Jaradi is very happy with the course at Vestegnen's Language and Competence Centre. "The teachers are good and we learn a lot about the labour market," he says slowly but clearly in Danish. Juan Chen is also very happy with the centre's Danish lessons. She arrived in Denmark from China three years ago. Her Chinese husband and ten year old daughter have also joined her in Denmark. Juan Chen is learning Danish not because her employer demands it, but because she wants to take advantage of the three years' free tuition offered by the Danish state to all permanent foreign residents. "My husband and I would love to stay and work in Denmark, so it is necessary for me to learn Danish really well. This course is really good and exciting. Danish pronunciation is difficult but I want to fully master it so I can train to be a health and social care assistant. I want to care for older people so I can practise my Danish with the old ones," she smiles. Juan Chen's first job in Denmark was at a Danish restaurant where her lack of Danish meant all she could do was clean and tidy the kitchen. A tough job with little communication with her colleagues. Thanks to the language course she now speaks Danish well enough to have landed a job serving customers at a sushi restaurant. Vestegnen's Language and Competence Centre is one of Denmark's larger language schools for foreigners with permanent residency. All municipalities must offer up to 1.2 work years of Danish teaching spread over three years. The school in Vestegnen covers eight municipalities and has currently 1,600 students. In the course of a year some 3,000 students will be taught here, says Helle Valentin, who heads the school's labour market department. 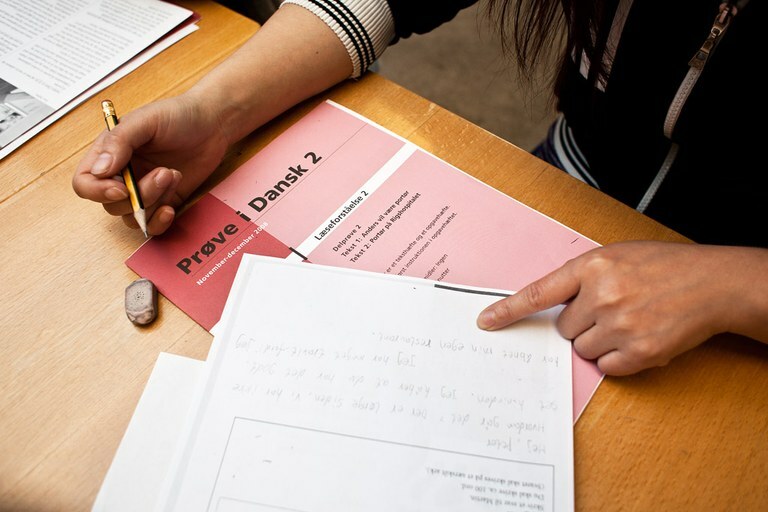 There are courses on different levels depending on students' previous knowledge of Danish. There are courses for illiterates, for students whose language is at primary school level and for students with further education from their home countries. All students must sit a language test and will be visited by a mentor at school. Nine in ten of the school's students work or make their own living some way or other. The teaching is either at one of the school's departments or in the workplace. If there are enough students to make up a class, a business can get a teacher from the school for up to 70 hours a week. Many private and public employers make use of this offer, including hospitals and nursing homes. The school offers a range of language courses which are tailored to prepare foreign workers for Danish working life. Yet the school recommends a combination of lessons at work and lessons at the school, because the school has good teaching facilities and can be a place for important network building for the foreign workers. "A course in the workplace can be tailored to the individual worker and the company's needs, but an important aspect of a language school is to become part of a learning environment and to meet other people. We Danes keep ourselves to ourselves and don't invite colleagues home to dinner, so to our foreign students the language school is also key to finding new friends," says Helle Valentin. The school also offers around a quarter of its students the chance to practice their language in a workplace to help them evaluate their own language skills. Students are sent to workplaces with a range of tasks which will give them a chance to communicate with their Danish colleagues. "In our experience many foreigners hide a bit in the workplace and only talk to other foreigners, so the practical language training can be of great help. And businesses welcome language students with open arms. 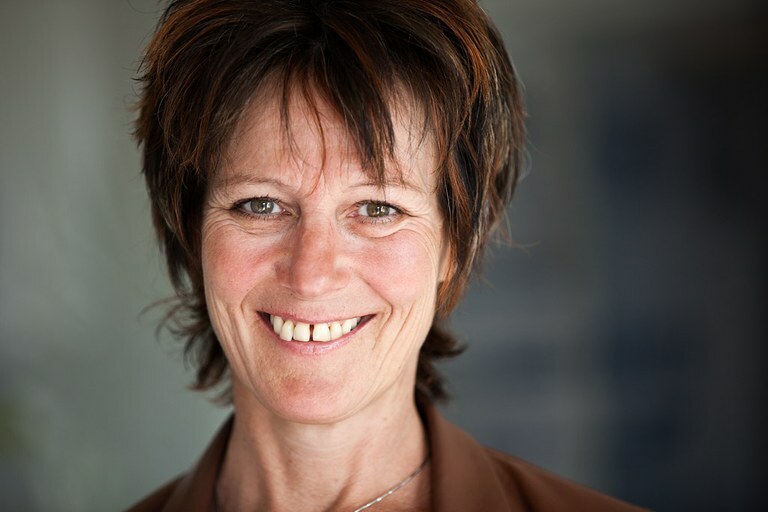 Employers are genuinely willing to open their doors and improve integration," says Helle Valentin. In her view there's been a marked increase in employers demanding language skills from foreign employees, in particular from people of foreign heritage with lower educations. "During the economic boom years employers accepted everyone, regardless of whether they could speak Danish, and in the long run the demographic development will probably force workplaces to accept that not all employees speak Danish equally well. But for many years to come, and especially while unemployment is high, there will not be jobs for people with poor Danish skills." Yet having good Danish skills is a prerequisite to be able to work and stay in Denmark, and even a basic course in cleaning demands some knowledge of the language, Helle Valentin points out. The only group of non-Danish speakers who don't need to learn the language are highly educated people in knowledge-based jobs at international companies, where the working language is English. Yet Danish is useful to know even in those jobs, says Helle Valentin. It is very difficult to participate in the workplace's social life without knowing the language. The water cooler gossip is in Danish. Teachers at Vestegnen's Language and Competence Centre also focus on enabling foreign workers to take part in collegial conversations in the workplace canteen. The school's labour market department also cooperates with job centres, municipalities, employers and trade unions to help people find jobs. There are courses in work-related language, which help students with the job seeking process or with getting onto wage subsidy schemes.